Inspiring stories and beautifully typeset quotations about generosity. WARNING: This book might change your life. The desire to act generously arrives like an uninvited guest, unexpectedly, like a lightning bolt, in a mere moment. A gesture, a news story, a quotation in a book, a passing remark can change everything. For many, that moment is enough for generosity to move into their hearts and minds and become central to their lives. This book will help readers open their hearts to the power of their own innate generosity, their desire to make a difference in the world, to help make someone's day a little brighter or their world a bit more secure. It will kindle a spark in readers' hearts that moves them into the sunshine of a more generous life. If one life is more generous, we all prosper. That is one of generosity's most wonderful qualities: it is utterly contagious. 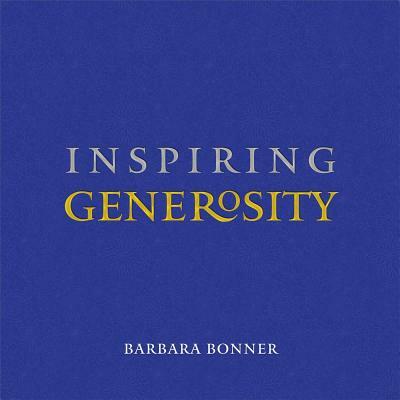 Inspiring Generosity is an invitation to savor a sampling of the very best inspirations on the subject of generosity. It includes fourteen contemporary stories of "generosity heroes" whose lives have been transformed by the power of generosity. Sprinkled throughout these stories are writings and quotes from Shakespeare, Hafiz, Emily Dickinson, George Eliot, Wendell Berry, Sharon Olds, Naomi Shibab Nye, Donald Justice, Winston Churchill, Mother Teresa, Maya Angelou, Gandhi, Dr. Martin Luther King, Jr., John Steinbeck, James Joyce, Leo Tolstoy, Walt Whitman, Henry David Thoreau, Goethe, Seneca, Albert Schweitzer, Anne Frank, and many others.